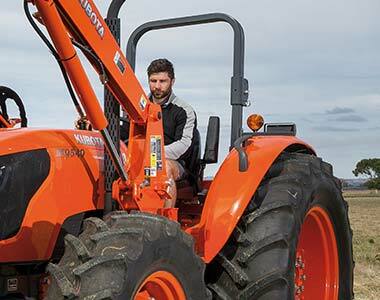 Kubota’s M9540DH utility tractor offers powerful performance with a 95HP, 4-cylinder turbo charged, E-CDIS engine. 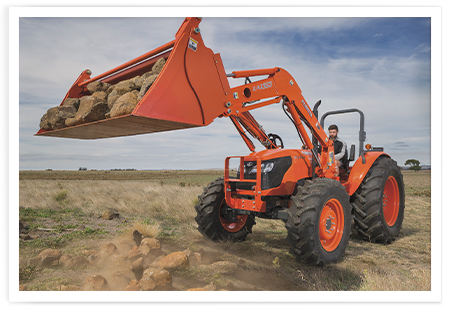 Designed for heavy duty work and equipped with hydraulic shuttle, Creep Speed and Autohitch for a more productive and practical operation. Available with a variety of attachments. For heavy-duty work such as ploughing, hay work and heavy trailer applications, the M9540 is equipped with an F18/R18 transmission. This transmission features six speeds of the main shift and high/low/creep ranges. 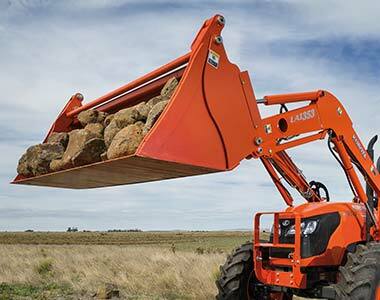 Hydraulic self-leveling valve allows the operator to raise or lower the loader boom while keeping the bucket level to the ground. 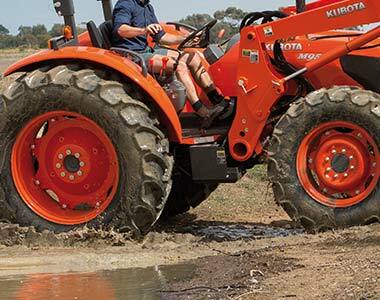 This helps prevent spills when carrying soil or sand and also makes pallet handling smooth and easy.